Frieda Lim and I will be conducting a sub-irrigated planter system (SIPs) workshop at the Farm City Fair in Brooklyn on Sunday. 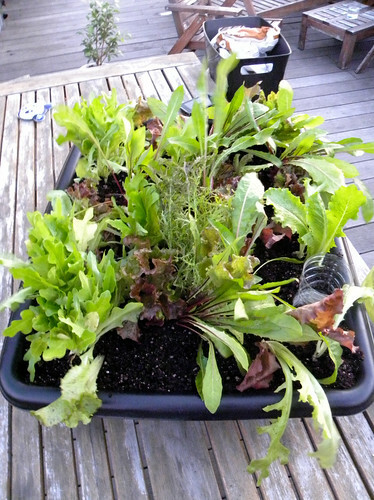 We will feature information about Frieda's Slippery Slope Rooftop Micro-Farm. It is a truly unique urban farming project in the New York Metropolitan area. We will be at the fair all day from 11 a.m. until 5 p.m. Our workshop is scheduled for 1:30 p.m. (check the schedule at the fair for last minute changes.) Admission is free. Brooklyn Food Coalition will present a day-long series of workshops on how to make or grow food at home, from canning to under-counter compost. Frieda Lim and Bob Hyland, will lead a workshop on rooftop farming with sub-irrigated planter systems, as part of a series of workshops curated by the Brooklyn Food Coalition. Frieda Lim turned her roof in Gowanus, Brooklyn into the Slippery Slope Farm, a modern urban sub-irrigated rooftop micro-farm. Lim and her farm will offer design services that implement modern practices of sub-irrigation systems and nutrient density. In addition, Lim, whose method is inspired by urban food activist and blogger Bob Hyland, is currently collaborating with designers and architects in design developments of the broadest scope of ‘greenscaping’ products and projects. Bob Hyland Bob has over thirty years of experience with sub-irrigated planter systems (SIPs) going back to the days he ran a prominent interior plantscaping company in Los Angeles. His studies in landscape architecture and ornamental horticulture at Cal Poly Graduate School of Environmental Design led him into the interior plantscaping industry. His prior career with IBM made it only natural for him to find technology solutions to growing and maintaining container plants in the built environment. 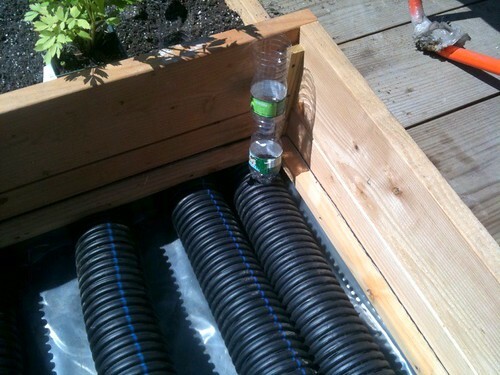 In particular, he discovered planter systems that employed capillary action sub-irrigation. He was a pioneering industry consultant, author and speaker at national trade conventions in the ‘70’s and ‘80’s. Last year he founded The Center for Urban Greenscaping (Cu Green) whose primary mission is education about modern methods of growing plants in the built environment. Bob is the author of the blog, insideurbangreen.org.